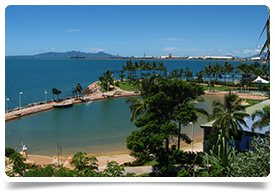 We're recruiting for a General Practitioner to come and work in the great city of Townsville, located Queensland. Rare DWS available. The practice strives to offer the perfect work/life balance. Hours are flexible, ideally like 38 hours per week over 5 days between the hours of 7 am – 8 pm Monday to Friday, with alternate Saturdays and on call duties once a month. You will be treating patients of all ages and backgrounds, with a wide variety of general practice type conditions, including medical, paediatric, dermatological, antenatal and postnatal care, surgical and work injuries. Remuneration is 50-65% of Gross Billings or $50 -$100 p/hour (whichever is the greater) for doctors depending on the qualification that you hold (doctors eligible for specialist registration at the higher rate). You will also be provided with accommodation for up to 1 month to assist you settle in.